Overlooking Ocean Beach, this new wood frame condominium project includes seven 1400 square foot units. Each condominium is to have three bedrooms and private balconies. 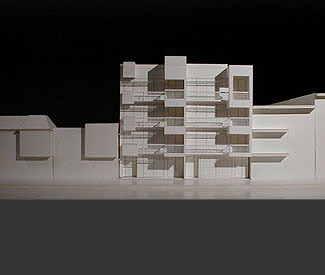 The cleanly articulated modern facade makes contextual reference to nearby buildings. Included in the project is a detached parking structure, individual unit storage, and a shared exterior garden. The project is currently in permit process.